Another off the shoulder look I couldn't resist. And gingham.. It's a win-win. I love how this top turned out. In case you missed my post on how to make it yourself, you can find the full tutorial here. And this bag is so easy to grab and go for strolling around the beach, or just running errands this summer. 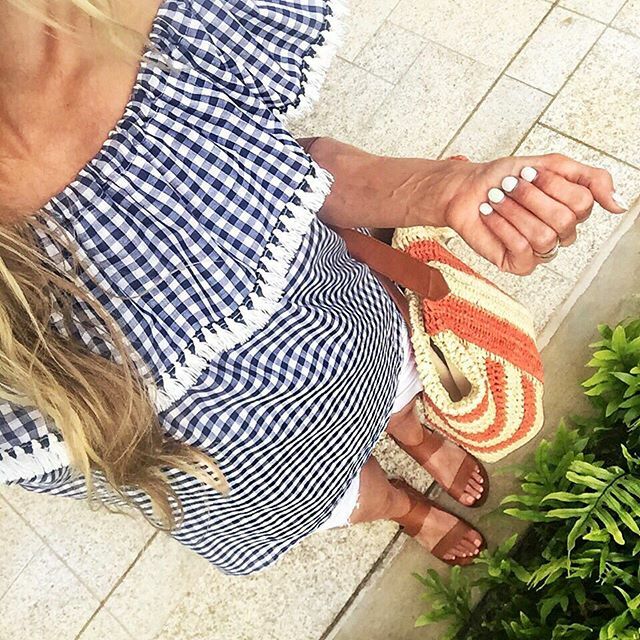 The orange in it is the perfect color compliment to the navy gingham, plus I love that it has the cognac color from my sandals in the strap. 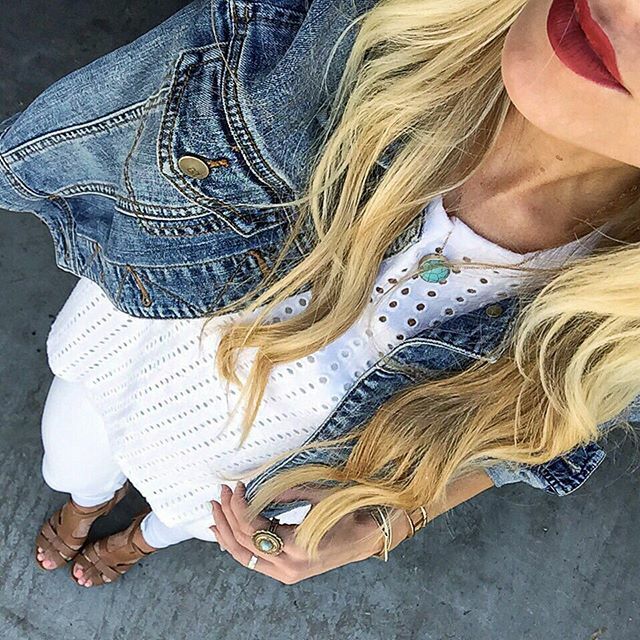 White and denim are always a good idea in the summer. My wedges and jean jacket add just a touch of contrast to my all white look. But I love that the details in my eyelet top are still the focus, making the top stand out just enough, even over white pants. 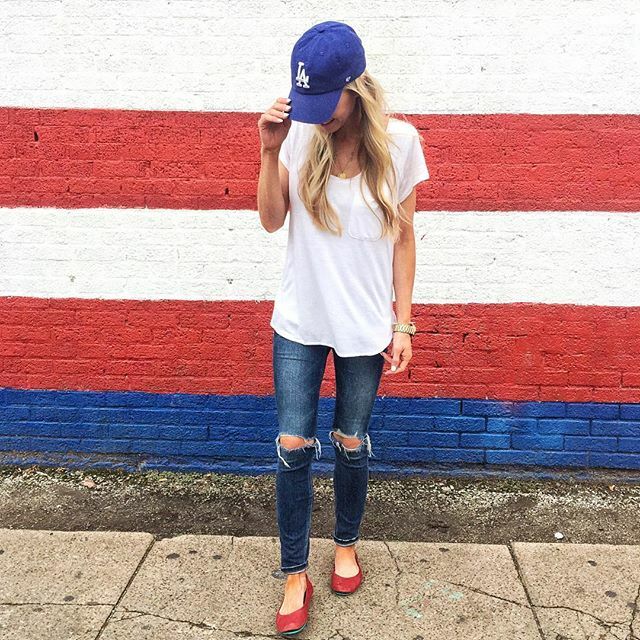 You can't go wrong with a red, white, and blue look. It's classic, simple, and easy to throw together for casual summer days. Running around with the boys this summer, I know I'll be throwing on my hat tons. It's the easiest way to get up and go while still looking cute and put together.